Eype in Dorset has an interesting beach. 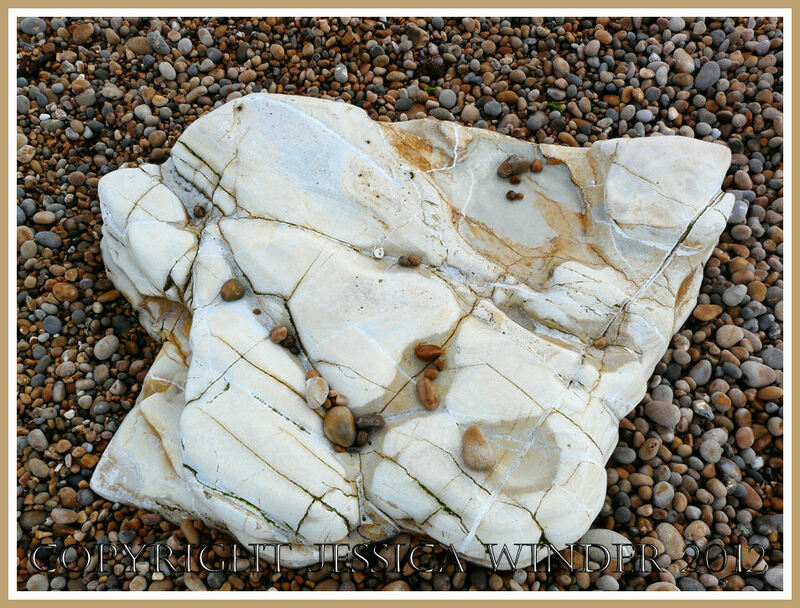 Mostly it is shingle – orange and grey rounded pebbles of various sizes. However, there are large boulders of different geological types that have fallen from the cliff and are now scattered across the shore. 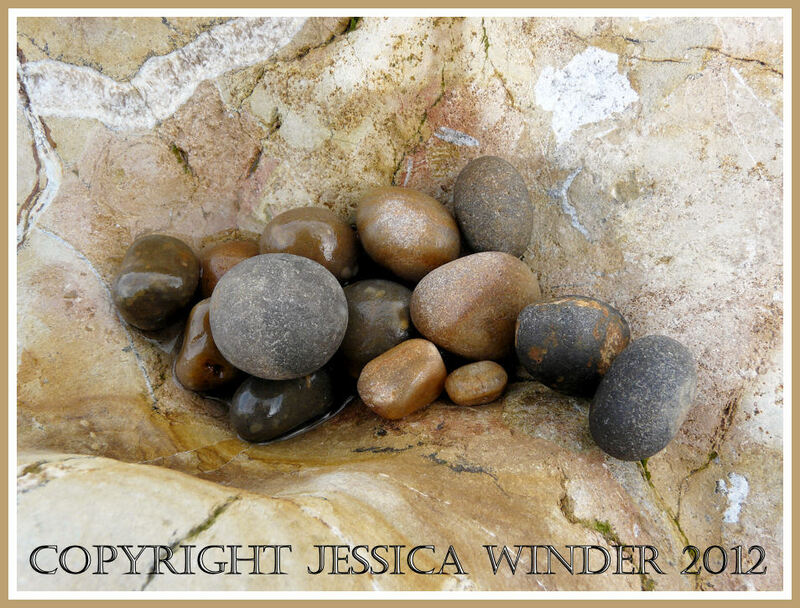 When the tide comes in, it sometimes washes the pebbles high over the boulders so that, when the tide goes out, groups of small pebbles remain in nooks and crannies on the surface of the larger rocks – looking like odd eggs in a strange stony nest. Click here for more PEBBLES.